There's two $100 Bankroll Builder tournaments Thursday as part of the $100k Series. Both events start with 10,000 stacks, play 20-minute levels and have registration open until the start of Level 7 (1:15pm for the bounty and 8:15pm for Omaha). The Bounty has unlimited re-entries, while the Omaha is a single re-entry per player. 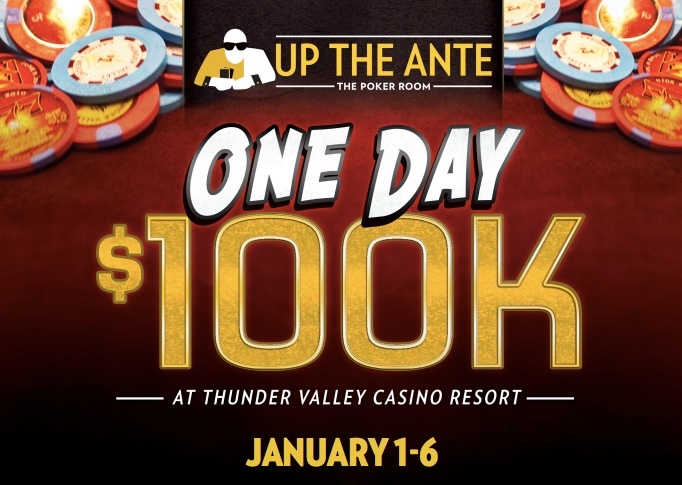 These are the final two $100 tournaments before Saturday's OneDay$100,000 Guaranteed $460. Friday is a day full of $110 Satellites in to the #OneDay$100k, with satellites at 11am, 6pm and 8pm.